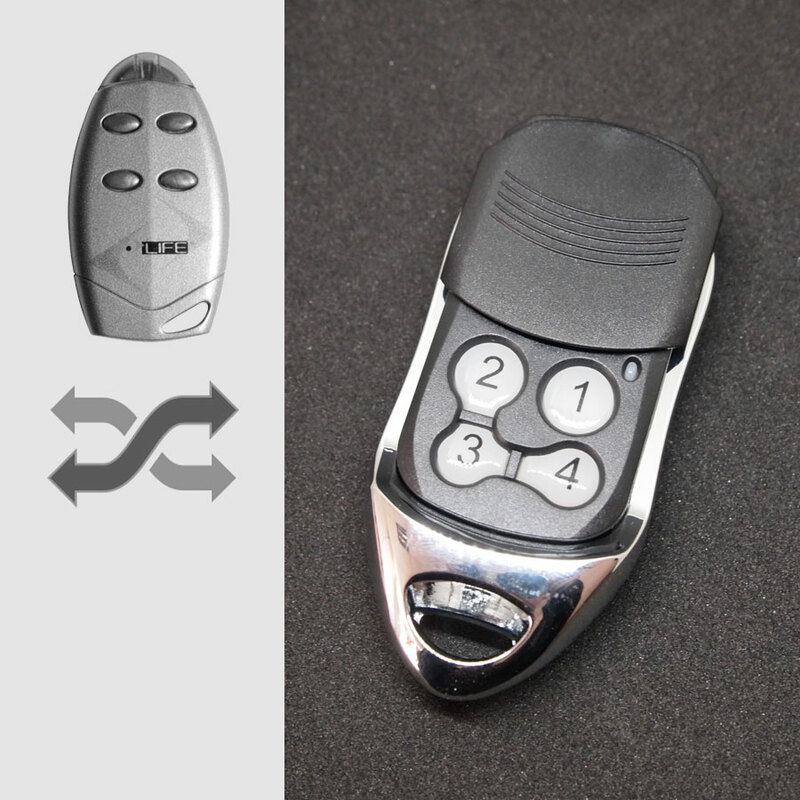 An aftermarket compatible remote, perfectly replaces your plastic LIFE remote control, works where LIFE BRAVO & FIDO works. Wondering if it works same as LIFE BRAVO & FIDO remote? Watch our video showing how we program it to LIFE standalone receiver. 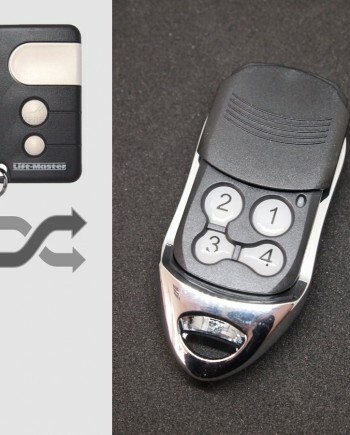 Our LIFE #L1 compatible remote replaces many LIFE remote control models including genuine LIFE BRAVO & FIDO key fob remotes, as well as other LIFE remote models such as FIDO2, FIDO4, BRAVO2, BRAVO4, VIP2, VIP2R, VIP4, VIP4R, STAR2 and STAR4 etc, it also works with some other LIFE radio remote controls using 433.92 MHz rolling code or auto code technology. Compatible LIFE gates & home automation systems includes LIFE Optimo, Armor, Sinuo and Ergo swing gates automations, LIFE Acer sliding gates automations, LIFE Supra crossing barriers automations and LIFE Probo, Plus, Vis, Sinuo Door, Tenax residential automatic systems, as well as Gebox standalone receiver control boards made by LIFE. Not compatible with some other LIFE remote control models which looks similar, but working at 868.35 MHz, such as LIFE EVER2, EVER4 remote controls. LIFE remote controls are made by LIFE home integration, member of AMP, a company operating since 1972 in the sector of plastic and metal, LIFE company is the result of careful technological and marketing research, and LIFE home integration mainly makes automation systems for swing gates, sliding gates, crossing barriers and residential purposes. Based on our marketing research, the best-selling LIFE remote control models are LIFE BRAVO remotes, LIFE FIDO remote and LIFE VIP remotes. LIFE BRAVO & FIDO remotes are perfect synthesis of aesthetics, ergonomics and functionality, the design of these transmitters adds elegance and practicality to everyday life. The protection case is manufactured as solid and resistant plastic, assures a perfect functioning under any condition, also the 6 – 12V batteries assure long life. The encoder on two models are different, BRAVO is using auto code technology while FIDO is using rolling code technology. LIFE receiver supports both auto code and rolling code so practially any LIFE remotes can program to any receiver, given the correct frequency module is installed, for example, LIFE FAST R2, FAST R1E, FAST R2E, FAST R4E all supports 433.92 MHz LIFE BRAVO & FIDO remote controls. 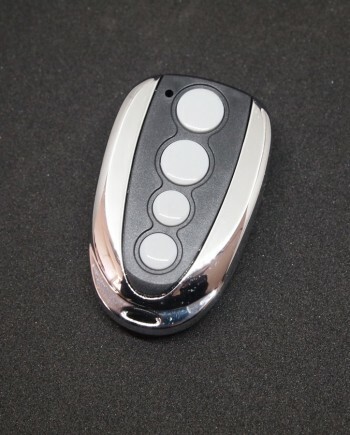 LIFE brand is relatively new, and is mainly used in European countries, such as Italy, Germany and UK, so there are many locksmiths, garage door opener & gate remote dealers need LIFE remote controls in this region. 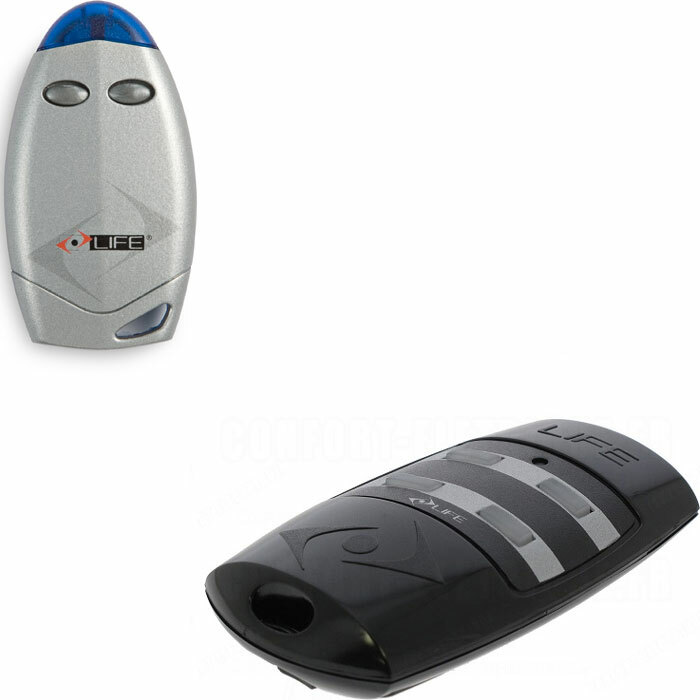 Transmitting frequency at 433.92 MHz, features secure Keeloq rolling code encoder, uses 1 x 3V CR2032 alkaline battery, remote control distance is around 50m, with sliding cover protection. Official LIFE BRAVO & FIDO remote control programming guide can be found on LIFE website, here is link to LIFE BRAVO & FIDO remote control manual. 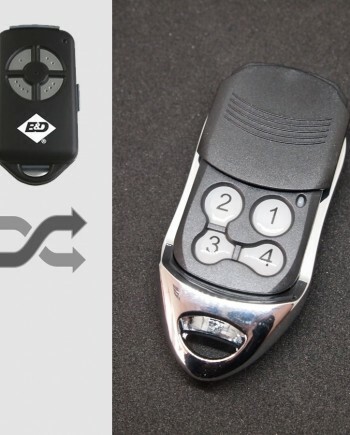 Watch programming video for LIFE BRAVO & FIDO remote control on YouTube, our replacement remote works the same as genuine LIFE remotes, so they share the same programming procedure. We make LIFE BRAVO & FIDO compatible remote in our factory in China, so we know our products better than anyone else in the world. 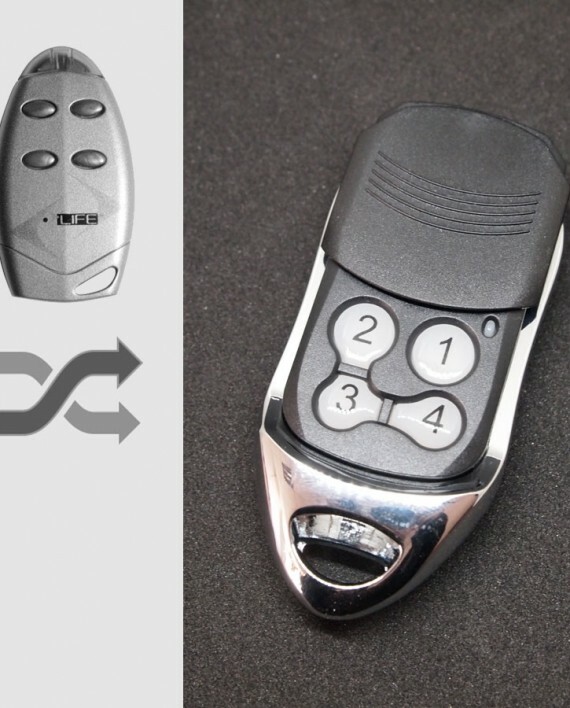 We’re confident in our engineering team & quality control, actually our LIFE compatible remote uses the same key components as genuine ones. 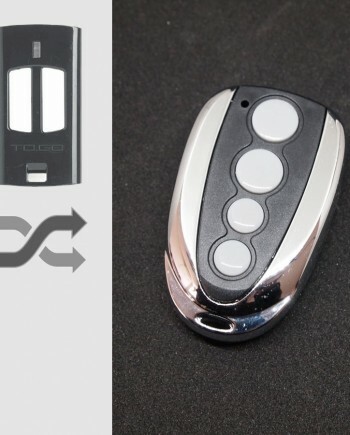 Comparing our factory-direct low price with high price of genuine LIFE remote, you can have considerable profit by selling our products. * Our LIFE compatible remotes are white label products with optional logo printing service for bulk orders.